a very unique, two day, spirit-filled experience that crosses all denominational boundaries. 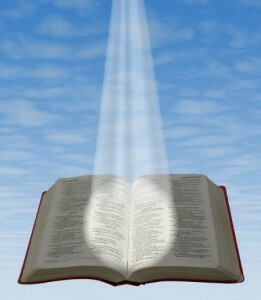 You will discover fresh insights uniquely presented from the word of God. You will discover and internalize the power of the Holy Spirit as He awakens greater self-confidence and self-esteem as well as many other interpersonal relationship skills, including the secrets to effectively communicating with everyone in your life in an clear, open, and self-assured manner. to Christian wisdom leading to God’s success formulas. is fantastic! Everyone needs to attend this event. – Thomas D.
As I witnessed God’s love in action that changed not only my life but the lives of all the others who attended, I was encouraged in a way I’ve never experienced before. Everyone, including pastors, should attend. – Harriet M.
Since the Vertical Living Event, I have experienced freedom like never before; Freedom to express myself and move into a greater understanding of God’s intent and design for my life. – Mark R.
I came to this event with a judgmental and critical spirit, which I had received from my dad. I had always been aware of the hindrance it placed in my life and had asked the Lord to take it away, but it never happened until I went to this event. – Andrea R.
The presence of the Lord permeated the entire complex. I saw a demonstration of the power of God and the love of Jesus Christ that greatly impacted me. I witnessed tremendous healings. Praise God for this marvelous work! – Celeste G.
going back again. – Gail P.
the same! – Joyce W.
After attending almost everything, I can truly say this is no ordinary program. It is a moving event! The power and the presence of the Lord were tangible and life-changing. You must attend! – Ron L.